Although heat-related illness and insect-borne infectious diseases like malaria typically come to mind when people think about “health” and “climate change”, the remaining topics in the list are likely to be more important in terms of numbers of people affected and contribution to overall health and well-being of people from a global perspective. This talk will touch briefly on the public health implications of each of these topics. Cindy Parker is an Assistant Professor in the Bloomberg School of Public Health’s Department of Environmental Health Sciences; co-Director of the Program on Global Sustainability and Health; co-Director of the M.P.H. Concentration in Global Environmental Sustainability and Health; and Associate Director of the Environment, Energy, Sustainability, and Health Institute. She works on climate change policy change initiatives for the state of Maryland and nationally. Her interests include how global environmental issues such as climate change are communicated in such a way as to motivate behavior change. The interplay between peak oil and climate change is another area of interest, as is working with communities to solve local and global environmental problems and sustainable development issues. 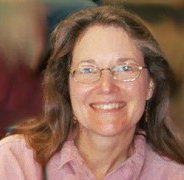 Dr. Parker’s honors and awards include induction into the Delta Omega Alpha Public Health Honor Society in 2000, a 1987–1988 American Association of University Women Educational Fellowship, a 1986 Edith Petrie Brown Award for Outstanding Community Service to Women, a 1986 Ciba Geigy Award for Outstanding Community Service, and a 1984 Schaible Memorial Award for Outstanding Biology Student of the Year. Submitted by Christina.Pikas on Fri, 2011-04-29 16:48.